Jenner Coleman (Big Jim,) was born on March 4, 1945 to French and Siller Coleman in Dillon County. 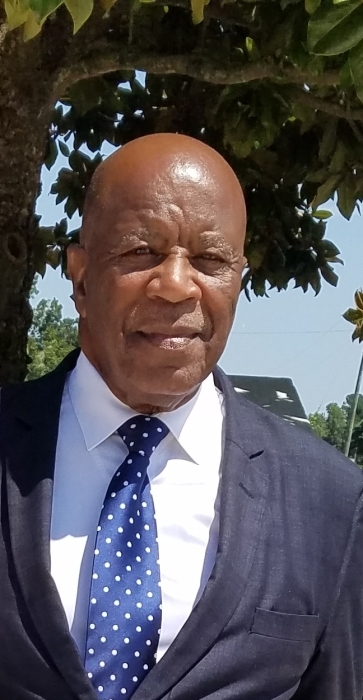 He departed this life on Monday, February 4, 2019 at McCleod Medical Center in Dillon, South Carolina. Big, as he was affectionately called, attended Dillon County Public Schools and worshipped at Little Mt. Zion Baptist Church in Lake View. He later moved to New York City where he worked for Royal Big D Car Service and married his wife Shirley. After retirement they relocated to Virginia where Shirley passed away and Big moved back to Lake View. Big Coleman, known for his signature smile, was loved by everyone he touched. With a servant’s heart he loved unconditionally, never put himself above anyone and never expected anything in return. Big was especially loved and honored by his nieces and nephews and that love was reciprocated especially during his sickness. Big Coleman will be sorely missed and will live on forever in the hearts of his loved ones. Big leaves to cherish his memories: Two Brothers; Charlie (Ruby), New York City - John (Betty) New Haven, Connecticut; Three Sisters; Susie, New Haven, Connecticut - Lucille, New York City - Arsola (Hobson), New York City and Patricia (James), New Haven, Connecticut; a host of nieces, nephews, relatives and friends; his best friend “C” Gilchrist, his special lady, Annette Nichols-Johnson and his dog Missy. Big was preceded in death by his wife Shirley; his parents, French and Siller Coleman; Five Brothers: Carson, Rudolph, Jeff, McDowell and FC: Three sisters; Arletha, Oneitta and Pecolia.